2D games are everywhere, from mobile devices and websites to game consoles and PCs. Timeless and popular, 2D games represent a substantial segment of the games market. 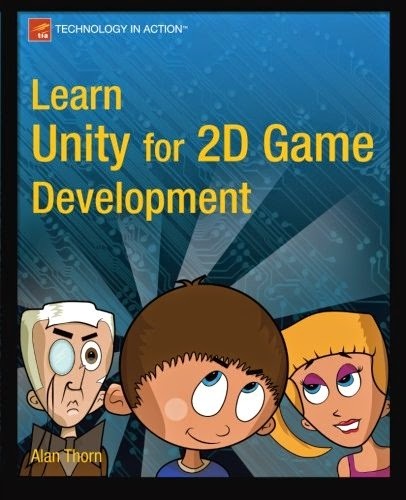 In Learn Unity for 2D Game Development, targeted at both game development newcomers and established developers, experienced game developer Alan Thorn shows you how to use the powerful Unity engine to create fun and imaginative 2D games. Written in clear and accessible language, Learn Unity for 2D Game Development will show you how to set up a step-by-step 2D workflow in Unity, how to build and import textures, how to configure and work with cameras, how to establish pixel-perfect ratios, and all of this so you can put that infrastructure to work in a real, playable game. Then the final chapters show you how to put what you've already made to work in creating a card-matching game, plus you'll learn how to optimize your game for mobile devices. Game development students and professionals, indie developers, game artists and designers, and Unity developers looking to improve their workflow and effectiveness.